Casino Heroes – Daily Casino Offers | Week 19! 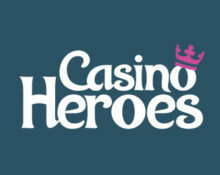 Enjoy a special casino offer, every day in May! 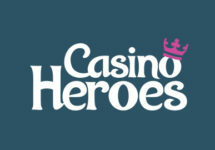 Summer is fast approaching, so prepare for amazing offers every single day as part of the daily casino deals running at Casino Heroes. There are Free Spins on deposit, Rubies Giveaways, Double Speed Days and even complete freebies for active players. Keep checking back here to stay in the loop. Casino Heroes launched the House of Doom Island with three rooms, three boss fights and plenty of extra rewards. Each room must be consecutively completed and the boss defeated to progress on the journey. Plus, score one point for every spin on House of Doom with minimum €0.20 / spin. The TOP3 scoring players by midnight on 11th May 2018 will win the following prizes for the Sweden Rock Festival 2018 in Solvesborg. No cash alternative can be offered for the prizes.